We all could summarize Christmas tradition in a few words: Santa, presents, the tree, and so on. But different cultures have radically different traditions, even while celebrating the same holiday. But that's not all! Families also have their own unique traditions. Some may have their own favorite festive songs or religious observations, or they may have two or three Christmas celebrations over the days between Christmas and New Year's Day as they travel around to see all the relatives. 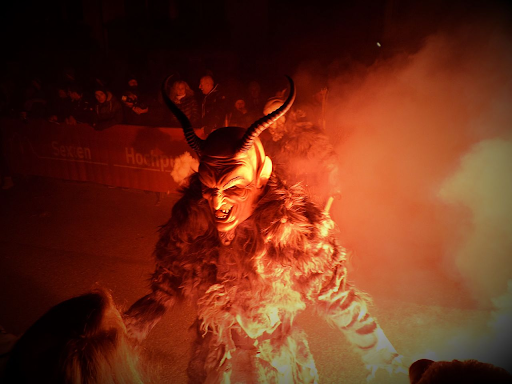 For example, have you ever heard of the legend of Krampus? He’s a goat-demon that appears to punish naughty children during the Christmas season (I am not making this up!). If Hollywood writers had known about Santa’s true arch-nemesis, it may have made The Santa Clause 3 a lot more interesting. If this doesn’t make you feel Christmas cheer, nothing will. But that’s not all! Families also have their own unique traditions. Some families may open presents on Christmas evening instead of in the morning, or they may have two or three Christmas celebrations over the days between Christmas and New Year’s Day as they travel around to see all the relatives. Cocooned Racoon…? Oh, never mind. What Christmas traditions are unique to your culture or family? Let us know below for your chance to grab the next mystery box before Krampus gets it! The winner of last week’s post, An Unforgettable Christmas, is @Daiross. The prize is an Anker PowerCore 10000 Redux and an Anker PowerPort Cube. Congratulations! 3. Only entries made before 12:00 AM, PST on December, 13th will be eligible. In these countries it is a real tradition he is escorting St. Claus.. It is also called "Knecht Ruprecht" in the Northern part of Germany. My favorite Christmas tradition is a Christmas play that my cousins and I put on every Christmas. Congrats @Daiross, can't say I'm not jealous haha. Congrats on the win @Daiross!! @AnkerOfficial As a kid, my family use to allow us to open 1 gift in Christmas Eve. But since I grew up and got married and had my own kid, we started our own tradition of waiting til Christmas.... You may be saying to yourself that's not a tradition but normal, well to be honest it's not normal for us. As Christmas brings joy to many families it also brings us heartache. My wife has a daughter from a previous marriage, but because of her ex, we have not seen her daughter since we have been married and Christmas brings her heartache as my wife's 1 wish is always to see and be with her daughter. So we wait, we pray, and just hope for the best through the holidays. On Christmas we open our presents and see the joy and cheer 8n my son's eyes or my eyes or my wife's and then they soon fade to tears if both joy and sadness. We love watching santa tracker! Yeah this is a really problem of those called "patchwork-families". And the kinds are always the losers! Thank you so much guys! I'm very happy!! Thanks @AnkerOfficial ! I haven´t enough words to thank you! We have a really pathetic, plastic "dog" ornament - it's really cheap and nasty. 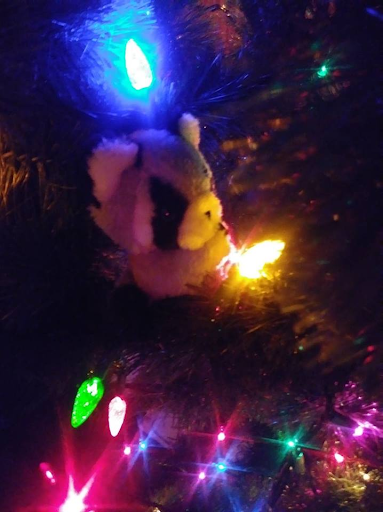 But it has been on our tree since I was a baby (a really loooooong time ago). It wouldn't be Christmas if I didn't know he was hiding at the back of the tree somewhere. thank you very much @AnkerOfficial I`m very happy and grateful! Every year without fail my mum and sister watch a Christmas carol but they’ll only watch the version with Patrick Stewart in it. Growing up, my family had all of the normal traditions such as having dinner Christmas Eve and being allowed to open one present from a relative (obviously, since the presents from Santa hadn't arrived yet). 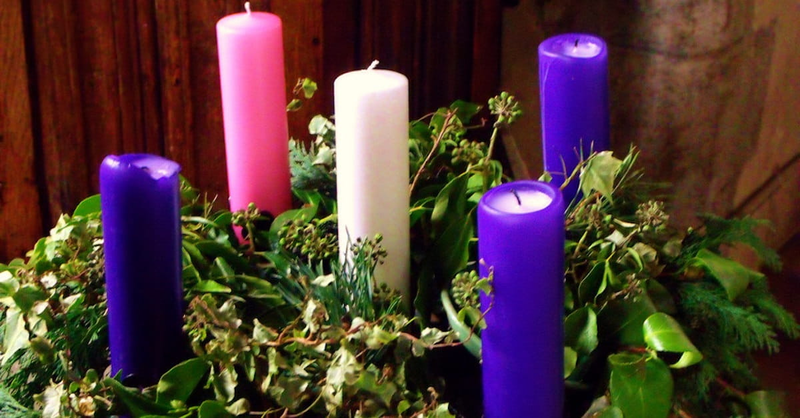 Like many families, we also light the Advant Candles on the Sundays leading up to Christmas. I remember as a kid getting so excited when we could light the 4th candle, and then the center candle on Christmas Eve. I could look up, how the Celts did christmas, but I suspect it wasn't that weird or anything. As for traditions in my family.... I haven't got one. As for me n the fiancée, tradition this year, is no gifts. We dont have any money.... Nothing. Cos she got Sepsis in May, and still recovering, she hasn't worked and had to give up work, certainly for the next foreseeable future. I dont work anyways due to my mental health n disabilities. However, our beautiful government has decided we can have half of one weeks wages between us. Maybe get something nice from the food bank on christmas week (although they're closed that week as it's a Wednesday). Fingers crossed for Wednesday before!